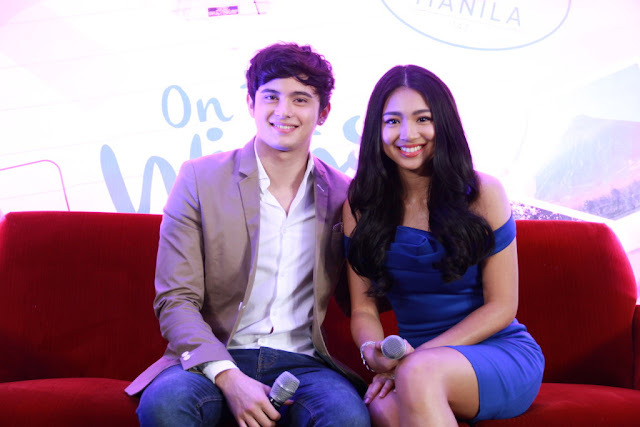 MANILA, Philippines - More and more Filipinos of all ages here and abroad are catching the “OTWOL” fever brought by the top-rating and Twitter-trending ABS-CBN's primetime series “On the Wings of Love” starring the phenomenal love team of James Reid and Nadine Lustre known as JaDine. Every night, fans religiously stay glued to their TV screens to catch the development in the romance between Clark and Leah and how they are trying to conquer the challenges that keep them apart. Because of the show’s ‘kilig’ factor and appealing story, “On the Wings of Love” has captured the hearts of viewers and has consistently recorded strong ratings nationwide since it premiered. Those who missed an episode or those who want to watch again their favorite “OTWOL” scenes have been spending time to catch the series on iWant TV, the free online catch-up service of ABS-CBN. Because of this, “On the Wings of Love” was recently named as the most watched program on iWant TV with a whopping 3.7 million page views for September alone. 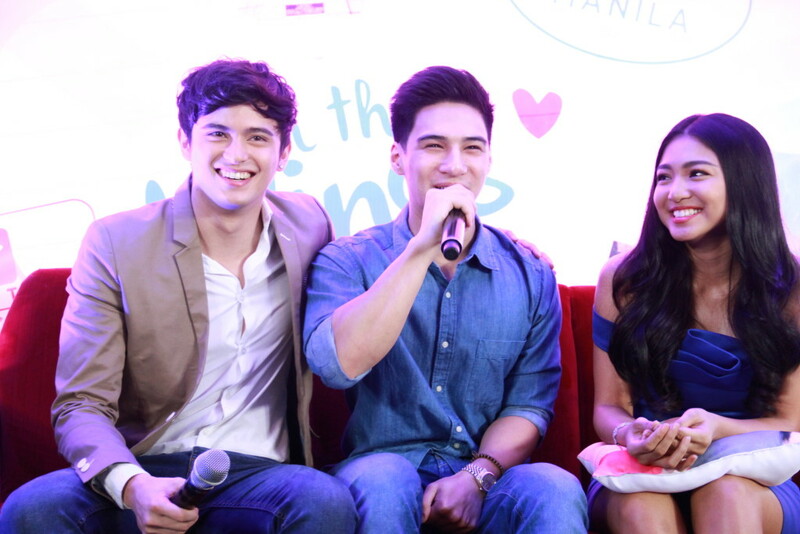 Even in the digital sphere, the “OTWOL” fever is getting stronger. Netizens regularly tweet their reactions about each episode, making “On the Wings of Love” a regular trending topic worldwide. Famous personalities could not escape the “OTWOL” fever as well. Joining the pack of certified OTWOListas led by Vice Ganda, Bernadette Sembrano, Marvin Agustin, Luis Manzano, Kyla, director Badji Mortiz, Kat de Castro, and basketball star Paulo Hubalde are Bianca Gonzalez, Myrtle Sarrosa, John Lapus, Kiray Celis, Darla Sauler, UAAP volleyball stars Mika Reyes, Gretchen Ho, and director Jose Javier Reyes, who was Antoinette Jadaone’s scriptwriting teacher. Because the series champions OFW issues, Filipinos overseas are also hooked on “On the Wings of Love.” In an interview with “TV Patrol,” James recounted that while he and Nadine were in London for their “ASAP20” show, fans were calling them by their character names. “The OFW issues that are featured in the series are based on research because we wanted it to be realistic. Dreamscape tapped the research team of ABS-CBN in North America and we found out that OFW issues vary per state in the US,” said executive producer Arnel Nacario. The Philippine Daily Inquirer also praised the top-rating series for its OFW representation and for highlighting the challenges and worries overseas Filipinos go through. As “On the Wings of Love” continues to touch viewers, the latest development in the series will focus on Clark and Leah’s shot at love in the Philippines. In the Philippines, Clark and Leah will continue to face big challenges that will test the strength of their relationship. The next chapter of “On the Wings of Love” will showcase Clark attempting to win the approval of Leah’s father, Mang Sol (Joel Torre) who got mad when he discovered that her daughter and Clark got married without his consent. Avid viewers of “On the Wings of Love” will also witness Clark’s immersion in the Filipino culture of courtship that will involve him driving Mang Sol’s jeepney, among other exciting scenes. Will Clark and Leah finally achieve a happy ending in the Philippines? Don’t miss another batch of must-see moments between Clark and Leah in “On the Wings of Love,” which is extended until next year, on ABS-CBN.